Buffalo-NiagaraGardening.com > Uncategorized > See inside Morty! Morty isn’t acting the way it did the last time it bloomed. The corpse flower or Amorphophallus titanum, which gives off the smell of rotting flesh to attract pollinators, revved up its smell, but didn’t unfurl the way it did in 2014. It’s shorter this time, too– about 4 1/2 feet tall, not the huge 7 1/2 feet he attained last time. Yet the fact that Morty bloomed again so soon is pretty exciting– These plants may bloom only once every 10 years. 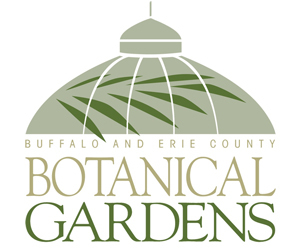 To accommodate visitors to see this rare plant, the Buffalo and Erie County Botanical Gardens will be open late today, Tuesday, June 12. The last admission tickets will be sold at 11 p.m. Regular hours will be 10 a.m. to 5 p.m. beginning tomorrow, Wednesday, June 13. Morty isn’t very smelly now, but what is interesting is that you can see what it looks like inside. The staff cut a hole to show the male and female flowering parts. The female red pistils (bottom) open and then the male stamens (the yellow pollen on top) open. Morty will start to collapse as the blooming process comes to an end. He will be on display for another week or two. Amorphophallus titanum, corpse flower (its common name), is in the arum family and is native to the rainforests of Sumatra, Indonesia. They are famous for their huge blooms and their horrible smell. When they are not blooming they send up enormous leaf structures to collect energy to bloom again in the future. See more on Morty and the two other corpse flower plants here. If you like unusual plants, participate in the Botanical Gardens’ Strange Likes Company campaign to help acquire strange and unique plants such as the monkey orchid, whose flower looks amazingly like the face of a monkey. 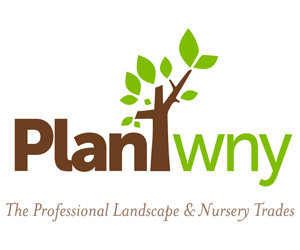 See a photo here as well as some of the other plants the Botanical Gardens wants to add to its collection. Donate online, too.